Meredith Atwood already had a lot going for her when she was a lawyer, married, and had two kids. One day she woke up and decided she wanted to add something else to her life, something a little crazy and extremely difficult; she started training to be a triathlete. And when she had completed her first few triathlons, she kicked it up a notch and did two Half Ironmans, and recently, a full Ironman. That’s 2.4 miles of swimming, 112 miles biking, and 26.2 miles running, all in 16 hours and 44 minutes. 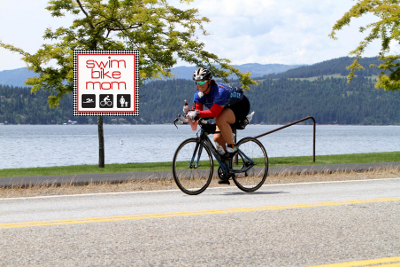 Her impressive leap from not being able to run a mile to being an Ironman inspires many women and men through her blog Swim Bike Mom. 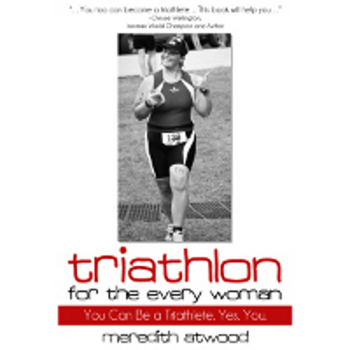 She also has written a book, Triathlon For The Every Woman, that furthers her inspirational reach. She has not only reached her goals, but has created a community where others can come together and laugh, share stories, and be motivated to reach their own goals. How hard was it to start down the road of a triathlete? When I started my journey, I was so very sad, overweight and lost. I had gone straight through college without a summer offer, gotten married, and jumped into law school. Just a few years later, I was also a full-time working wife and mother of two. I had absolutely no time for triathlon. I had absolutely no time for anything —-and that was the problem. I had not made time for myself. In all my quest to go after “having it all,” I had completely lost myself. I had to start somewhere, with something, to get my life—myself—back. And triathlon was the place I started. Triathlon happened by complete accident. I joined a gym in my office complex. I showed up for one Spinning class. I continued to show up to that class each Friday. Then a year later, I learned that my instructor was a triathlon coach. I picked his brain. He said, “You can do a triathlon.” I was shocked. “Me?!! ?” I thought he was crazy. But his words seeped in a little. Even though I was severely overweight and sad, I took his words to heart. And I hired him to coach me. I have completed dozens of triathlons and races now, including two half Ironmans and one full Ironman. And I have also dragged my husband into the sport as well. It’s turning into a family affair. Did you ever have any doubts about what you were doing or think that you couldn’t succeed? I have doubts still! And I just finished my first Ironman (2.4 mile swim, 112 mile bike and 26.2 mile marathon). I think the doubts never go away. But I have learned to be a mental giant, a mental ninja! I take negative “I can’ts” out of my head. I keep negative “You won’t” people out of my life. I surround myself with positive people. I try to keep a sense of humor about it all. And when someone doesn’t understand me or tries to discourage my goals, then I eliminate them from my life. I don’t hire a hit man, I just pretend they never existed. Getting rid of these “energy vampires” is a big key to success in any area of life. 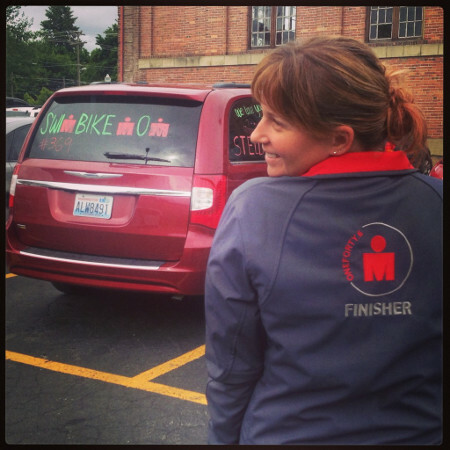 Did your experience as a lawyer help you achieve your triathlon goals? When I was practicing law, I was so miserable. Being a lawyer is very rewarding for some people, but for me, I knew on the first day of law school that I wasn’t meant to be a lawyer. So triathlon was actually something that I used to help me balance the intensity of law practice. I would swim, bike and/or run before work—-then I would feel ready to tackle my busy, crazy day. Now, I am still working full-time in a law firm, but not as a practicing lawyer. It is a much better balance for me, and yet, I get to utilize my pricey law degree for something good. You are beautiful. You are healthy. You are smart. Stop wasting time on negative thoughts. Be nice to your husband. Be kind to your co-workers. Be the friend you wish you had. How has achieving your goals changed you? 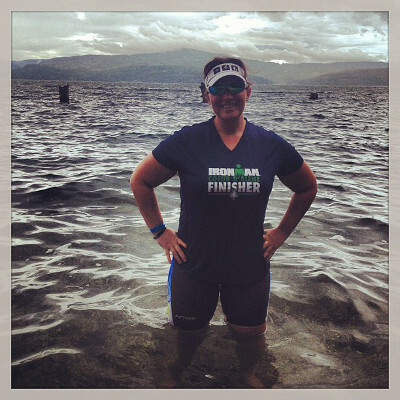 Through writing a book and finishing an Ironman, I realized that anything is possible. Anything! Taking on those two goals, following through and succeeding has opened my eyes to the “sky is the limit,” and I’m not stopping now. For me, the key is setting a goal and following through–to “just keep moving forward” (my tagline, my internal mantra) no matter what. One foot in front of the other, day by day, I try to move forward toward my goals. Every step forward, no matter how small or how slow, is a step in the right direction. How do you want your blog to affect others? I want it to be a fun place, a place for inspiration, and entertainment. But it goes a little deeper for me, because I share very personal things. By sharing my vulnerabilities, my thoughts, I hope I am able to help just a few people. Sometimes I write very embarrassing things about myself, about my life, and I call those types of posts: “The Worth It Posts.” Meaning, that the post may be tough to write, but the impact is worth the embarrassment. Because someone may be reading who is feeling exactly the same way or they might be undergoing some serious turmoil. If I can write and the result is that someone feels less alone, less sad, less hopeless—then that’s all I want. Killer whales. No, really. They scare me to death. But in a real-life sense, I am terrified of regret. I don’t want to look back in my life and say, “Well, I missed that opportunity.” Because of that nagging fear, I tend to run myself ragged, to spread myself way too thin. At the same time, some of my greatest opportunities have arisen from moments of sheer panic, exhaustion and defeat—when I was worn out the most. Many of our limitations are perceived limitations – we make them up. “Oh, I can’t do that.” Well, why the heck not?? For me, I want others to see that they “just keep moving forward,” they can reach their goals – even big ones. 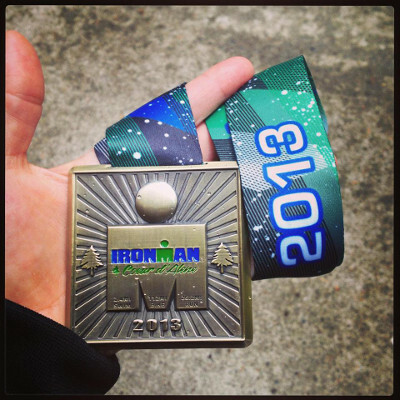 I went from unable-to-run-a-mile to a full Ironman in under three years. One of my favorite quotes is by Earl Nightengale, “Never give up on a dream just because of the time it will take to accomplish it. The time will pass anyway.” That quote is so true—if I had said, three years ago, “Oh, it will take me too long to reach these triathlon goals or to write a book,” then I would be sitting her right now with none of my dreams accomplished. And yet, it would still be three years later. Time passes regardless. We must take advantage of the time we have now. Start to reach for our dreams NOW. How do you overcome everyday obstacles, not just with working out? I scream. I cry. I curse. I throw stuff. Then I pick myself up, make a list, create a plan and execute it. For me, I have had the hardest time learning that my time is no longer my own. As a mom, you are a servant to a very small, very loud, very sticky little person. In my case, I have two of them around. And kids will run your life and there’s not a damn thing you can do about it. Does the positive outweigh the crazy? Of course, but learning to adjust my thinking and time management is something that I still battle. If you could only teach your children one thing, what would it be? For my daughter, especially, I would want her to learn to appreciate her body for the amazing things it can do, not just the way that the world says it should look. What’s the best way you unwind after juggling so many jobs? Triathlon has provided me a great outlet for unwinding, believe it or not. “Sweat therapy” is a sweet thing. However, at the end of a crazy long day, I just love a big ole glass of wine, some stretchy pants, and some time with my husband. That always does the trick.